“Go ahead and lie to them,” she answered. Her melodious voice purled like a stream, and her laughter gladdened his heart. Indeed, the Truth cannot be terrible or ugly. If it appears so, this is a manifestation of impurity of our eyes. The Truth should always be searched after and remembered, for it is very easy to go astray without it. The Truth is always one! The Truth is simple and easy. It is wonderful and admirable in its marvellous radiance! The Truth grants Freedom! True Freedom! No dainties and delights of the illusory oblivion which we call life can match a single gulp of such Freedom. Everything earthly is mortal, and the greatest ruse of shaitan is that we cling onto temptations of this world although we admit and seem to understand all this. Owing to the efforts of shaitan and his servants everything is altered and substituted in order to conceal the Truth from people’s eyes, the Truth that can liberate each and every human being and grant the highest reward – Freedom! Nonetheless, praise be to the Almighty, at all times there was always at least a little group of people thanks to whom the Truth became the heritage of everybody else! Owing to such people, even today lots of grains of the Truth are preserved in works of art, literature, architecture, rock paintings, legends and myths. Despite all the attempts (quite successful at times) to wipe all traces of the Truth off the face of the earth and the human memory, the Truth remains invincible! 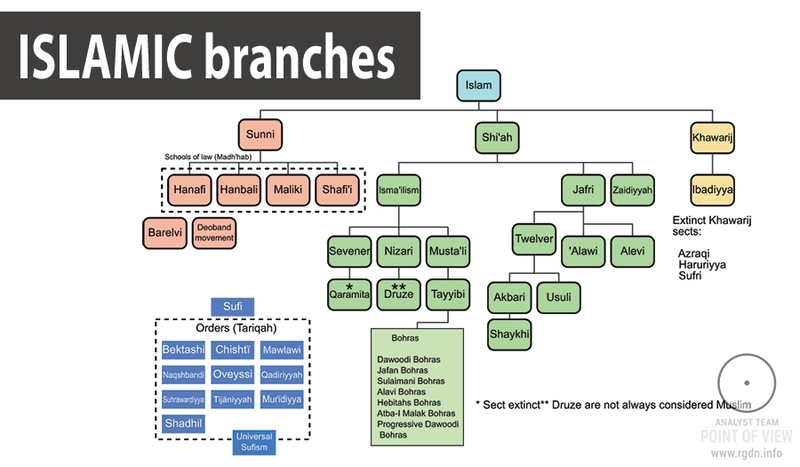 One of the evidences of this is the main sacred place of the Muslim world – the Kaaba. So, what does the sacred geometry of the Kaaba indicate? The Kaaba is the chief Muslim shrine. The Holy Quran [3:96] says: Verily, the first House [of worship] established for mankind was that at Mecca – full of blessing, and a guidance for the worlds. 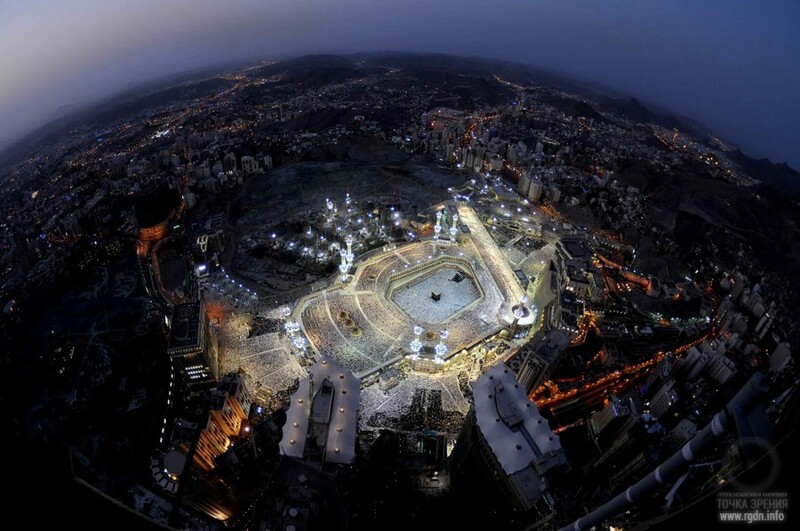 Anastasia: As it is known, the main shrine and place of pilgrimage for Muslims is the birthplace of Muhammad – Mecca. This place is located in a small valley in the mountains. 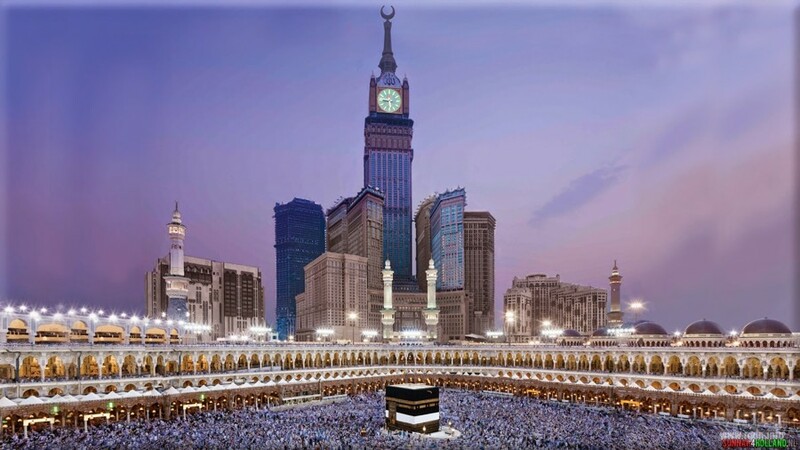 Even in pre-Islamic times, Mecca was already the main religious centre of the peoples of the Arabian Peninsula, while the Kaaba (the building in the form of a large cube) was a shrine commonly recognised by different peoples of the Arabian Peninsula. Researchers still don’t know who built it and when. But it is interesting that, when translated from Arabic, the Kaaba (the English transcription of this word) means a cube. Well, if we take into account that since ancient times a cube put on its vertex (or with a marked vertex) has been an important spiritual symbol for peoples of the world and indicated human transformation into a Spiritual Being, then the story becomes really interesting. According to geometry, a cube is a regular hexahedron consisting of 12 edges, 8 vertices (with 3 edges meeting at each of them) and 6 square faces. It is appropriate to recall that the number 72 may be represented as a combination of 12 by 6. Again, the symbolism of the figures and geometric values is rather interesting. So, when Islam had become a dominant religion in Mecca, Masjid al-Haram mosque became the main place of pilgrimage for Muslims. It is here that the ancient shrine Kaaba is located as well as, by the way, Maqam al-Ibrahim – a small domed building crowned with a symbolic Allat sign. Inside the building, there is a stone with a footprint which, as legend says, belongs to Prophet Ibrahim (Ahraham). Rigden: Quite true. In the Quran (Surah 3, Ayah 97) it is clearly written about this sign, “In it are clear signs [such as] the standing place of Ibrahim. And whoever enters it shall be safe.” The Allat sign is precisely the symbol of attaining spiritual liberation – the only possible state of spiritual transformation for a human being, which opens a way to Eternity and in only which one can remain safe from this material world. Anastasia: I agree with you, it is shown and written very clearly, but people don’t seem to notice it, or they understand it in their own way, according to their conclusions as of residents of the three-dimensional world. Their attention is focused more on the external, e.g. on the outer wall of the Kaaba eastern corner, which holds the main relic – the so-called Black Stone (Hajar al-Aswad), an egg-shaped stone thirty centimetres in length. Researchers assume this stone is of either volcanic or meteoric origin. Yet, this is not the point. According to an ancient Arabic legend, Angel Jibrail (Archangel Gabriel in Christianity; in Islam, as is known, Jibrail is the most revered angel prophesying the will and revelations of Allah to prophets) handed to Adam after his repentance, as a sign of Allah’s divine forgiveness, a white stone from paradise as an altar for praying on the Earth, and that stone marked the Kaaba beginning. This happened after Adam and Hawwa (Eve) had been expelled from paradise and separated, and then many years later met each other again near Mecca. The legend says, the stone initially was white, but because of human sins it turned black. According to Islamic beliefs, the Kaaba in Mecca is also considered to be the “Home of God”, “the part of the sky overturned to the earth”, the centre of the universe, and the side to which the prayer of each Muslim should be directed. It is established that at least once in his or her life every Muslim should visit Mecca where he or she should perform a number of ceremonies, including walking seven circles round the Kaaba as a symbol of the divine order and subordination to the single centre. At that, if we compare all this information about the Kaaba relic with the Knowledge, it turns out that it’s not about the external worship. After all, the energy projection of a spiritually developed person in the seventh dimension looks like a cube put on one of its vertices! A cube with one of its vertices marked is a symbolic transfer of spiritual knowledge, whereas seven circles symbolise the cognition of the seven dimensions! By the way, as for the number 72, there is a popular belief that 72 winds gather at the Kaaba, whereas the sacral meaning of this number is referred to in the AllatRa book. Well, let us proceed. The place where the Kaaba is located is far from being random either. Astronomical data point to numerous facts that evidence the Kaaba is situated on a ley line (our dear readers can read about ley lines in an interesting and informative article on our website). Now, let’s dare enter the Kaaba. What is inside the Kaaba? 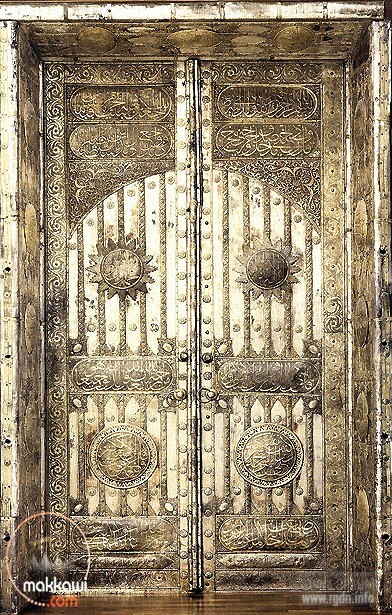 Although nowadays ordinary pilgrims are not allowed to enter it, there is freely accessible information on the web that inside the Kaaba there are three pillars, while the walls and the floor are covered with white marble. Yet, it was not always so. Over the period of its existence the Kaaba building itself has been repeatedly reconstructed, and today it looks very different from the way it looked initially. There is a hypothesis that previously there was a well inside, and people believed countless treasures were on its bottom. This is quite logical, for a circle has always been a symbol of the soul, water has been a symbol of the spiritual world, while a well symbolised submersion. Thus, from the earliest times people knew the main treasure for a human being was his or her internal spiritual richness. “Beytullah building is made of large pieces of roughly hewed mountain stones of various sizes and grey colour, with no external decorations. The building is 10.5 metres high and not more than 6.5 metres wide. The base is square. In the eastern corner, the famous Hajar al-Aswad (Black Stone) is set in the wall, being the main sacred item of Beytullah… Beytullah roof is flat. On the western side of it there is a gutter with hand-sized golden ornaments. On the same western side there is also a small semicircular marble wall. Arabs say, the wall means that the Beytullah building used to be larger, and those are remains of old walls (according to legends, the Kaaba was erected 10 times). On the outer side, the entire building from its roof to its foundation is usually covered with a heavy black silk cloth… Every year a new coverlet is made by the order of the Turkish sultan. Three days prior to the Hajj the coverlet is tucked up to a half of the building height, and the uncovered part of the wall is covered with a white cloth. Ordinary people believe Beytullah is thus covered with ihram, but in actual fact this is done to prevent pilgrims from tearing the coverlet while touching it, as may always be expected in such a crowd of different people. Hence, there is nothing religious when they cover the lower part of Beytullah with a white cloth – this is done with a mere purpose of preserving the precious coverlet, every piece of which brings significant revenues to Beytullah managers. Beytullah interior looks as follows. The floor is made of square marble plates. The lower part of the walls (approximately 1 metre up from the floor) is covered with plates with Arabic inscriptions on them. In the middle of the room, there are three wooden pillars that support the ceiling. The walls are covered with a brocaded cloth… In the right corner there is an enclosure, similar to a little lumber room, where there is an exit to the roof. They say there is also a way from this enclosure to underground premises located under the building. It is rumoured that the premises contain unique and precious items. 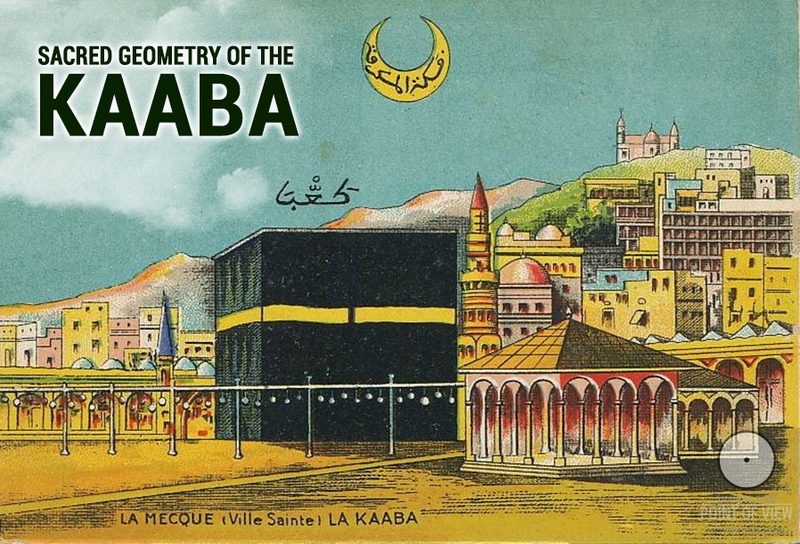 Our readers will be surprised to know the Kaaba was not always cube-shaped. It is considered that in ancient times the semicircle (the Hatim) was in the middle of Kaaba building, but later on it was moved outside. 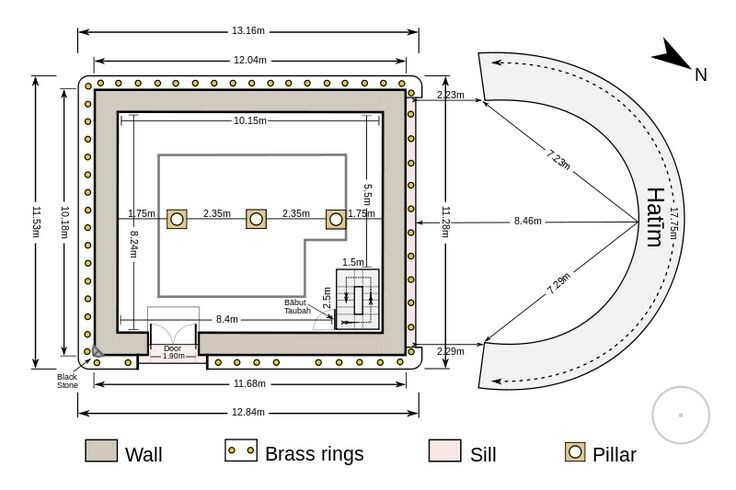 Should we imagine the Kaaba layout from above as it was in ancient times, we will see… the creative AllatRa sign – a circle (the well) fringed with a crescent (Hatim). The image below shows construction works in January 2014. We see no Kaaba itself there. Please, draw conclusions on your own, dear readers. 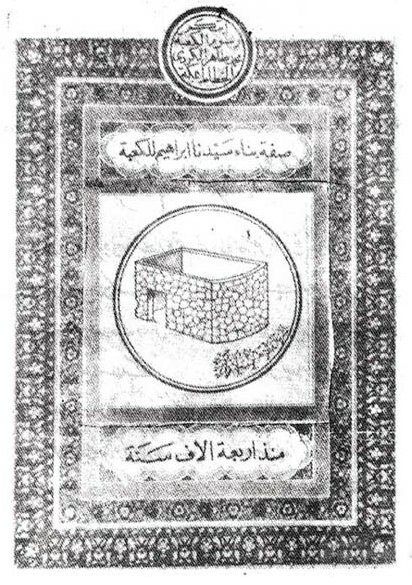 Today we can confidently state that numerous reconstructions and alterations in Mecca have been carried out in order to conceal another sacral secret – that the Kaaba initially had a shape of the ancient AllatRa sign (!). Nonetheless, as it has been said in the beginning, everything hidden becomes evident in due course, and the Truth always triumphs! May the Will of Almighty Allah ensure that the Truth becomes a heritage of every human being, may the Almighty Creator have mercy on all of us, and may the Single Lord grant His Grace!